Matthias Zwicker has joined the University of Maryland in March 2017 as the Reginald Allan Hahne Endowed E-Nnovate Professor in Computer Science. He obtained his PhD from ETH in Zurich, Switzerland, in 2003. From 2003 to 2006 he was a post-doctoral associate with the computer graphics group at the Massachusetts Institute of Technology, and then held a position as an Assistant Professor at the University of California in San Diego from 2006 to 2008. From 2008-2017, he was a professor in Computer Science at the University of Bern, Switzerland, and the head of the Computer Graphics Group. 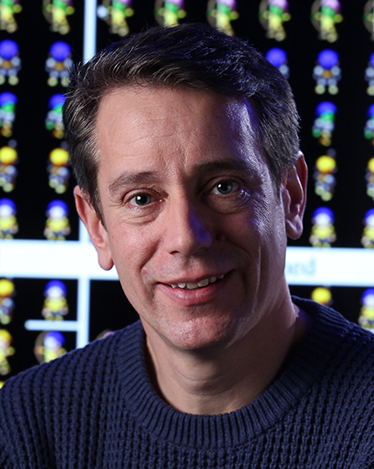 His research focus is on efficient high-quality rendering, signal processing techniques for computer graphics, data-driven modeling and animation, and point-based methods. He has served as a papers co-chair and conference chair of the IEEE/Eurographics Symposium on Point-Based Graphics, and as a papers co-chair for Eurographics 2010 and the Eurographics Symposium on Rendering 2017. He has been a member of program committees for various conferences including ACM SIGGRAPH, ACM SIGGRAPH Asia, and Eurographics, and he has served as an associate editor for journals such as the Computer Graphics Forum, IEEE TVCG, and the Visual Computer. I am looking for PhD students to start building up my research group at UMD. If you are interested in research in graphics, AR, and VR, feel free to contact me directly via e-mail. Here you can find more information on my research, publications, and teaching.